While bacteria are too small to see without a microscope, sometimes you can just smell them doing their job. They like dark, damp, warm places, where they can eat dead skin and drink sweat. Inside your shoes and socks, for example. There are more glands that produce sweat on your feet than any other part of the body. As bacteria eat there, they also turn your dead skin and sweat into chemical products that can really reek. It might just make you want to plug your nose. But at least you’ll know the system that helps you smell, the olfactory system, is working well. Your brain, nose, and a bunch of smell receptors work together to help you figure out what you are smelling. Maybe it’s stinky feet. Or maybe it’s fresh-baked chocolate chip cookies. Do either of these bring back any memories for you? Scientists have found that our sense of smell is tied pretty closely to our memories—and there are more than 10,000 different kinds of smells, or aromas. Smell is a really important part of our daily life, said my friend Sindhuja Sankaran, a biological engineer and researcher at Washington State University. The ability to smell can also help us identify spoiled foods, find quality foods, and even remind us to take out the trash. She said that knowledge of the way humans smell has allowed us to develop electronic devices that can help pick up on these different combinations of chemicals. Scientists like Sankaran can use a kind of sensor, you might call it an electronic nose, to study the quality of foods and sniff out any problems bacteria might be causing when food is in storage. She even uses this technology to study what chemicals released by plants can tell us about whether they are infected by a disease or attacked by an insect. For example, some kinds of plants can release chemical combinations into the air to warn other plants that a particular predator is around. Some evidence points to the idea that plants can sense some chemical messages in their roots, too. Lucky for them they can’t smell stinky feet. What kinds of things have you smelled lately? Keep exploring all the aromas around you. You might even try to find out what combinations of chemicals give things like fresh cut grass, garbage and bacon their smells. 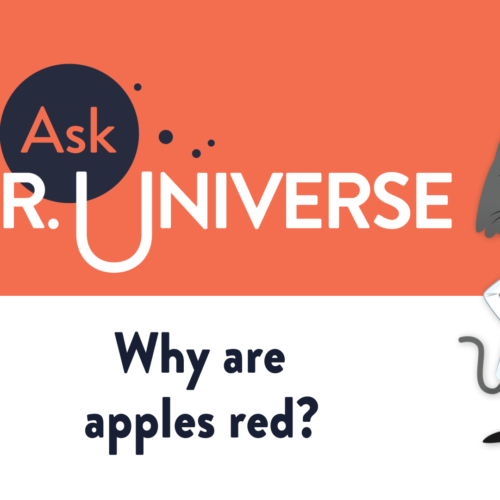 – [Narrator] Hey cool cats, I’m Dr. Universe here to answer your baffling science questions. Like this one. 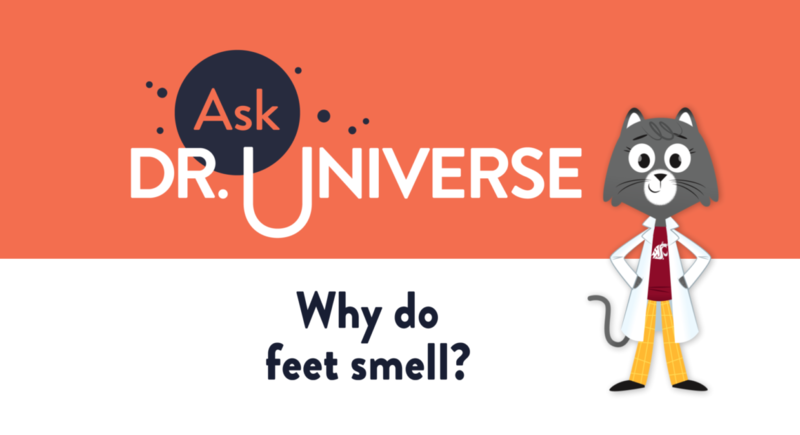 Dear Dr. Universe, why do feet smell? We live in a world filled with all kinds of smells. 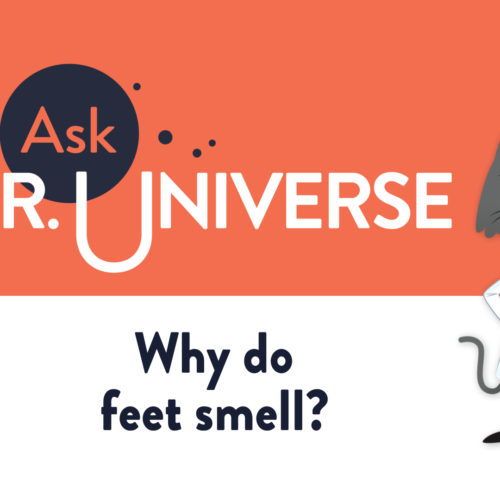 Take off your tennis shoes after a long day and you might even get a whiff of something pretty stinky. You can blame it on your bacteria. Millions of these tiny things live on your feet. While bacteria are too small to see without a microscope, sometimes you can simply smell them doing their job. They like dark, damp warm places where they can eat dead skin and drink sweat. Inside your shoes and socks for example. There are more glands that produce sweat on your feet than on any other part of the human body. As bacteria eat there, they also turn your dead skin and sweat into chemical products that can really reek. It might just make you wanna plug your nose, but at least you’ll know the system that helps you smell, your olfactory system, is working well. Got a science question of your own? 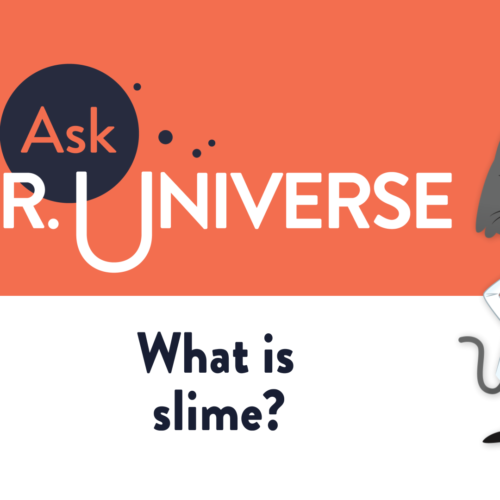 Send it in at AskDrUniverse.wsu.edu.